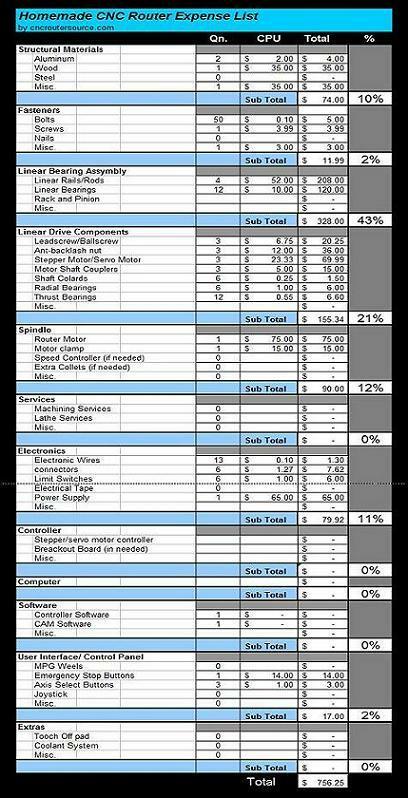 This is an example layout of expenses for a homemade CNC router. Feel Free to download it and use it. The file format is an excel spreadsheet. The numbers that are in there are simply an example. Just delete them and replace them with your own. You may also add more rows in any category if you need them.